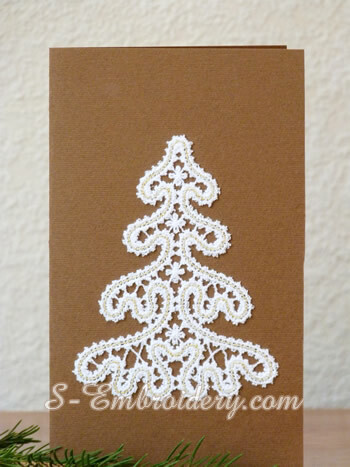 The Christmas tree Battenburg lace machine embroidery design is offered in 2 versions - mono-color and 2-color (we use metallic thread for the second color). 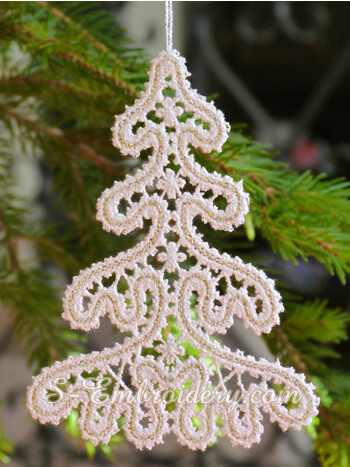 Each of the versions comes with and without a loop for hanging. 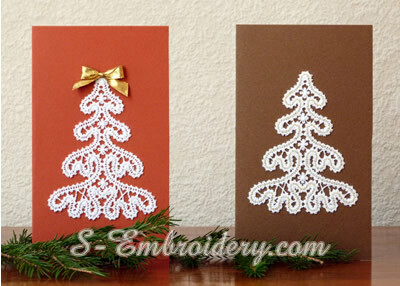 The ornaments without a loop can be used to create your own hand-made greeting cards. 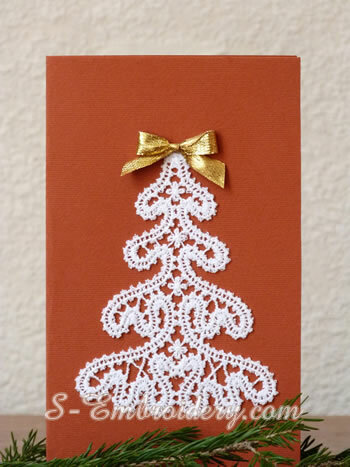 The size of the Christmas tree lace embroidery without the loop would be approximately 3.5 inches wide and 4.4 inches high (8.8 x 11 cm). 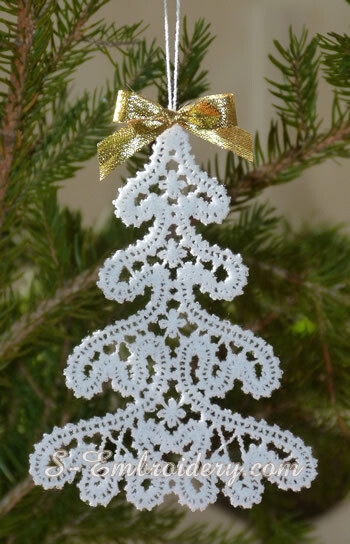 You receive 4 machine embroidery files in one of the supported formats and a PDF file with design information and instrcutions for stitching free standing lace ornaments.